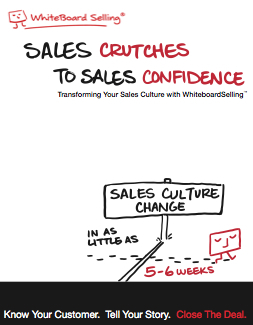 Learn more about Whiteboard Selling so that your sales, marketing, pre-sales and channel teams can challenge the status quo while consistently telling your compelling story in a convincing manner. Quickly teach every customer-facing employee on your team to tell your story. Tell your story on digital paper or over a Web conference to better engage, diagnose, differentiate and close the sale.